Providing you the best range of scaffolding accessories, universal joints and release plate for vehicle with effective & timely delivery. Pioneers in the industry, we are offering an excellent range of Scaffolding Accessories in all size with deponds on your choice. As per the precise needs and specifications of our customers, we have been highly enriched in offering an assorted range of Universal Joints. 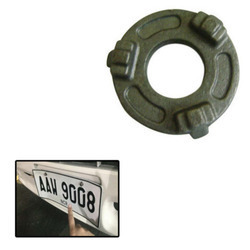 We are enjoyed offering Release Plate for Vehicle that has been tremendously refreshing by our customers. These are solidified and additionally stretch allowed to guarantee most extreme stun retaining limit. 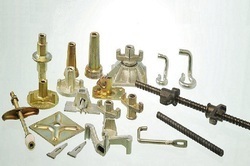 Our whole item range is all around tried on quality parameters before the last conveyance. Our directors verify that the item conveyed is superbly performing great and is quality situated in order to keep our customers fulfilled. Our offered items are very appreciated in the business because of their quality, tough plan and top execution.